Rare photo of infamous outlaw Billy the Kid surfaces. Zoomed-out photo of Billy the Kid playing croquet. FRESNO, Calif. -- A collector bought a photo at a junk shop in Fresno, California, for $2. 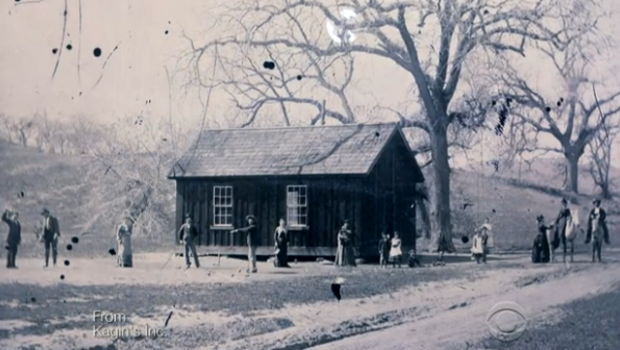 Turns out, the guy on the left of the photo is the infamous outlaw, Billy the Kid, playing croquet. Photos of Billy are extremely rare-- experts say this one could be worth $5 million. The showdown between frontier lawman Pat Garrett and notorious outlaw Billy the Kid has fascinated the American public for nearly 130 years with its classic Old West storyline. Garrett shot down Billy the Kid -- aka William Bonney -- on July 14, 1881. Garrett tracked him after the outlaw escaped from the Lincoln County, N.M. jail in a famous gun battle that left two deputies dead.